He doesn’t retain his anger forever, because he delights in loving kindness. There is no one like our God and Father. He is the kindest, most loving, most forgiving Father ever. In today's promise, the KJV Bible says the He delighteth in mercy. 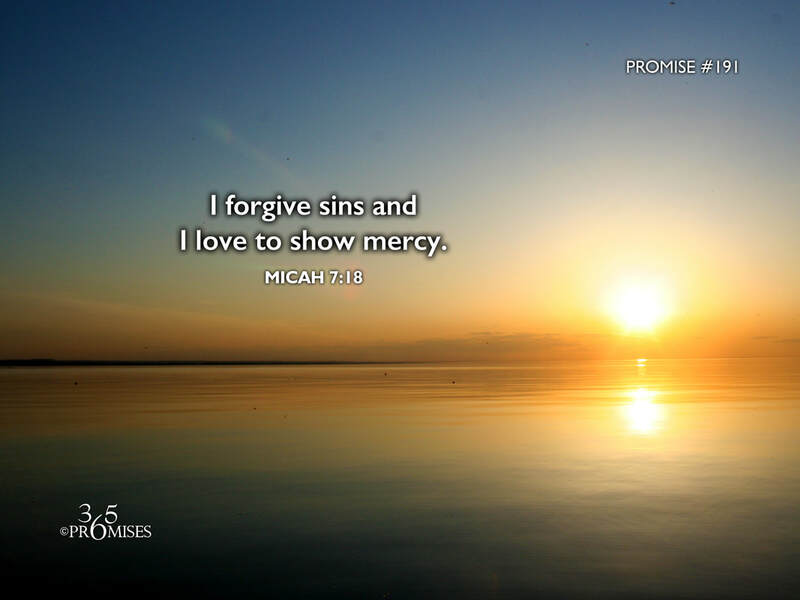 This means that God actually loves to show mercy. He actually enjoys being merciful to us on every occasion. Some images of God that we see in our society today is that of an angry old man in the sky, pointing his bony finger towards humanity in judgment. We also see Jesus in his high priestly role crying out to His Father to not pour out His wrath on the human race. This image of God couldn't be any farther from the truth. It was God's idea to send His own Son to the earth because of His great love (John 3:16). It was God's idea to adopt us into His family before the foundation of the world (Ephesians 1:4-6). Our God and Father loves to forgive our sins and show us mercy at every occasion. May every wrong image that we have of God be consumed in the fire of His love today. May His mercy go deep into our own hearts so that we might become merciful even as our Heavenly Father is merciful (Luke 6:36).